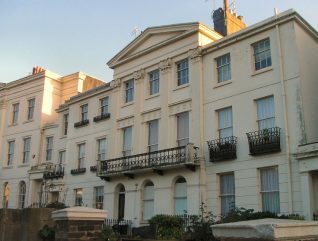 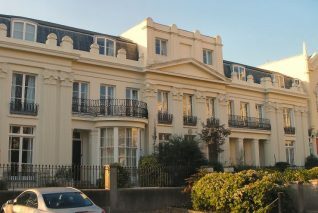 Outstanding examples of the Regency style are the classical terraces of the Kemp Town and Brunswick estates; Cavendish Place; Marine Parade; Marine Square; Montpelier Crescent; New Road; Old Steine; Oriental Place; Portland Place; Regency Square; Russell Square; Sillwood Place; and Western Terrace. 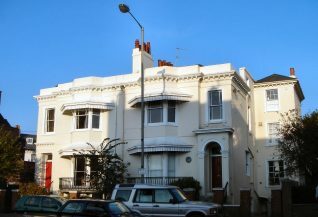 Excellent examples on a smaller scale may be seen, among others, at the Cricketers Arms, Black Lion Street; Montpelier Street; 79 Preston Street; and 87 London Road. From the late 1820s until the 1860s a later style was in evidence which retained some elements of the Regency period. 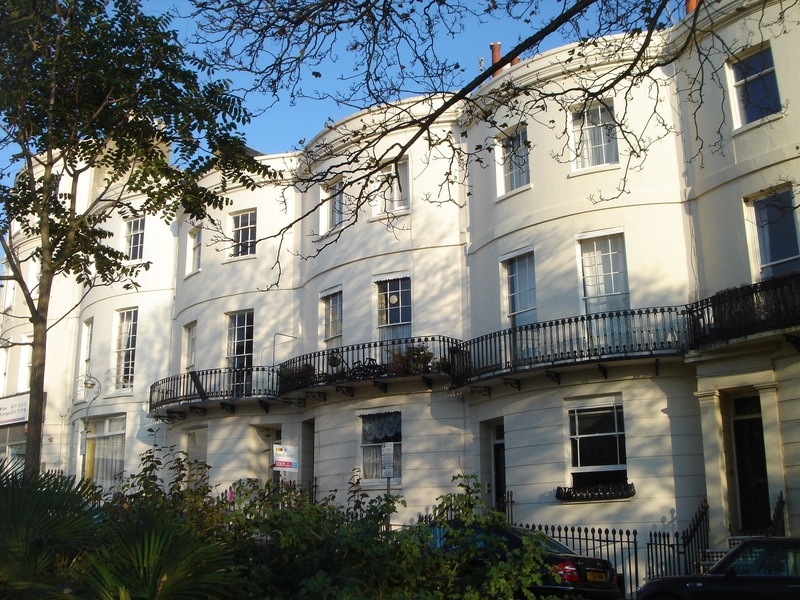 Many houses were refronted with newly fashionable wide bows while new houses in this style were erected at Belvedere Terrace; Chesham Place; Chichester Place; Clarendon Terrace; Eastern Terrace; Eaton Place; Grand Parade; Montpelier Road; Norfolk Square; Percival Terrace; Powis Square; and St George’s Place. Attractive Italianate villas were built at Buckingham Place; Clifton Terrace; 128-130 Dyke Road; Montpelier Road; Montpelier Villas; Powis Villas; and Russell Crescent. 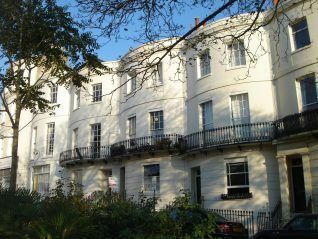 Less impressive but still attractive contemporary cottages may be found at Blenheim Place; Camden Terrace; Clarence Gardens; Crown Gardens; Crown Street; Dean Street; Frederick Gardens; Hanover Street; Marlborough Street; Norfolk Street; North Gardens; Regent Hill; Spring Street; and Trafalgar Terrace.